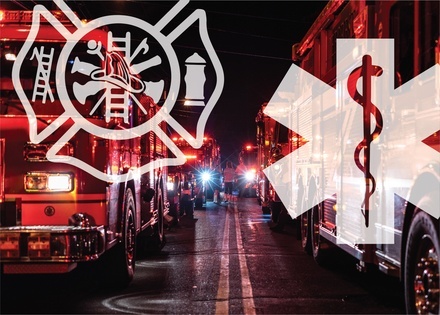 Our Fire/EMS Law Department has experience representing volunteer fire companies, emergency and rescue squads and volunteer ambulance organizations across New York State. We counsel these emergency service agencies on a diverse range of topics, including formation and operational issues, facility construction, governance and compliance, negotiating and drafting contracts, creating/revising policies, implementing bylaws, financing, and member discipline. As a full-service law firm, we also offer legal services to address labor and employment issues, municipal matters, criminal complaints, and much more. Our goal is to provide practical and useful advice tailored to all emergency services. Our attorneys have represented individual EMS providers in disciplinary issues and litigation involving the Department of Health’s Bureau of EMS and have also worked with several Regional EMS Councils serving as CON/EOT Hearing Officers, as well as general counsel. Kevin Mahoney: A third-generation fireman, Mr. Mahoney is active as an officer, interior firefighter and EMT with the Bergholz Fire Company. Steven Cohen: Mr. Cohen is an exempt member of Swormsville Fire Company, where he previously was active for years, in addition to his experience working as a provider for Town’s Ambulance. Diane Tiveron and Alex Neurohr provide labor, corporate and not-for-profit advice and compliance. *We also offer a 25% discount on our hourly rates for members of emergency services organizations and first responders on personal matters.